Inviting amber-red color with full body. Aroma is bold hops with herbal and piney notes; flavor is nutty and firmly bitter with hints of caramel. 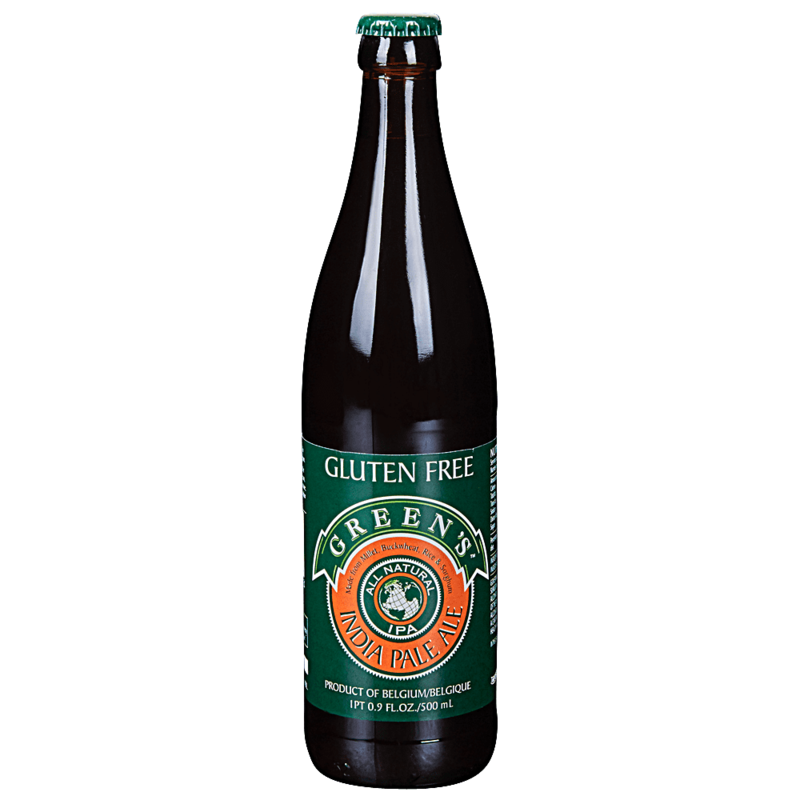 Green's are dedicated producers of gluten free beers, craft brewed in Belgium, and that means Quality without Compromise. There is a growing population around the World who live with Coeliac (Celiac) disease or are just sensitive to the gluten contained in barley and wheat, but still want to enjoy quality beers! We have beers ranging from crisp and light lagers or rich dark ales to wonderful hoppy beers, making Green's one of the biggest original producers of gluten & wheat free beers.